PURCHASES ARE THE KEY TO DIGITAL TRANSFORMATION. In its current M&A study, Berylls Strategy Advisors analyzes 257 company takeovers performed in 2017 in the automotive industry. Automotive companies with a total sales value of € 41.4 billion from the DACH region (Germany, Austria, Switzerland) were sold and purchased. 35 percent of all the transactions in the study apply to automotive companies with a digital business model. German companies with a traditional portfolio are still high on the shopping list of international purchasers in 2017. The “enterprise value” for purchasing automotive companies is increasing; Berylls considers 2018 to be another seller’s year. Munich. 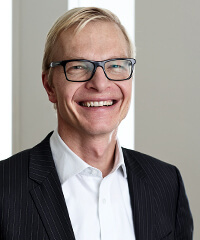 Dec. 6, 2018, “The automotive industry is tooling up for the digital future by making acquisitions,” says Dr. Jan Dannenberg, partner at Berylls Strategy Advisors, looking at the many M&A transactions of digital players revealed by Berylls’s M&A Study 2017. 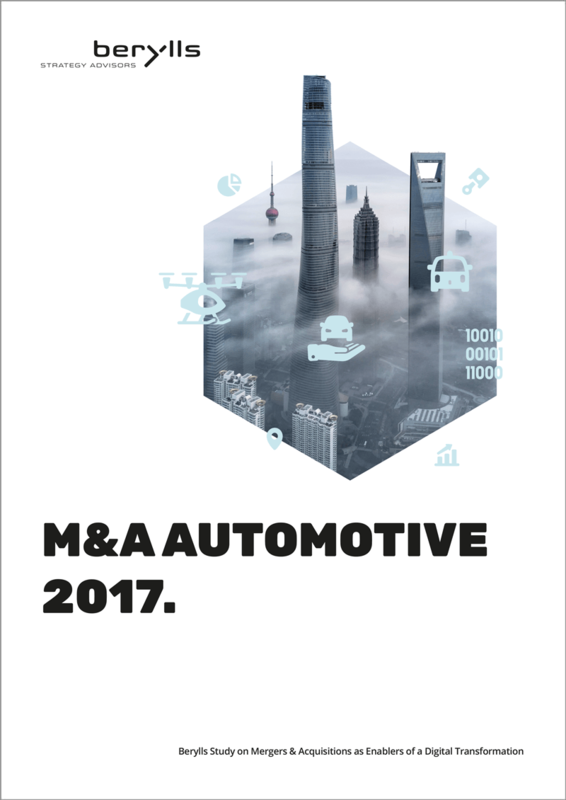 The M&A Study 2017 assesses the takeover patterns of a total of 257 automotive companies that were sold within and outside Germany, Austria, Switzerland (the DACH region). The revenue volume of all the companies sold was a record-breaking €41.4 billion. Europe, and Germany, in particular, are the targets most preferred by purchasers of automotive companies. Almost 42 percent of sales were to companies outside Europe, many of them in China and the Far East. On the other side of the coin, German or European companies hardly invested in Asia at all. RUN ON DIGITAL TECHNOLOGY: GREAT INTEREST IN SMALL COMPANIES. OEMs such as BMW, Daimler and Volkswagen, and tier 1 suppliers (Bosch, Continental and Mahle) are all equally concerned to develop their existing CASE technologies (connectivity, autonomous driving, shared services, e-mobility). Instead of laboriously building up digital know-how in house, they make purchases. In some cases they deploy considerable financial resources, as was shown by the comprehensive study by Berylls Strategy Advisors on mergers & acquisitions (company takeovers) in the European automotive world – particularly Germany, Austria and Switzerland. Looking at the figures of the digital players that were traded in 2017, with 91 takeovers, or 35% of transactions, one could assume that they account for a huge share of the total of 257 companies that were sold last year. However, the takeovers are put in a different light by the respective numbers of employees (8.9 percent, or 13,714 persons), or the companies’ revenues (€1.5 billion, or 3.8 percent of the total volume in 2017) . It appears that trading with supplier companies that manufacture traditional components is still the much more important sector (M&A in 2017: 102 companies, €15.7 billion revenue, 89,000 employees). The takeover of Opel (34,500 employees, €17.7 billion revenue) by the French PSA group is a special case, since the purchase of a complete auto manufacturer is beyond the scope of normal M&As, and has a significant effect on the results of the analyses. 42 PERCENT OF GERMAN COMPANIES WERE ACQUIRED BY PURCHASERS OUTSIDE EUROPE, WHILE CONVERSELY THE FIGURE WAS ONLY 1.6 PERCENT. In total, the study analyzed companies from the sectors of engineering & software, production technology, automotive suppliers, car production, sales, after sales and mobility operations. These companies employed 153,450 people. The trend towards consolidation within the sector seems to be continuing. It is interesting to see the strong trend towards sale of German and European companies to buyers in China/the Far East and in the NAFTA economic area. In total, 84 companies from the German-speaking area, with total revenue of € 34.1 billion were sold to foreign buyers. Conversely, the companies acquired by purchasers based in the Germany, Austria and Switzerland only had a cumulative revenue of €2 billion. Moreover, the companies purchased employed fewer staff (2,475 in total), while the brain drain of qualified personnel to the new foreign owners is far greater, at 62,881 employees. Among the top 10 sales, only one company went to a German buyer (Solvay S.A.), but four went to China (Grammer AG, Bosch Starter Motors Generator Holding, ZF Body Control Systems division, Feuer powertrain). CHINESE PURCHASERS ARE THE SECOND BIGGEST INVESTOR GROUP FOR SUPPLIERS IN THE DACH REGION. As the aforementioned examples show, suppliers figure high up on the shopping list for foreign investors. US companies, with 18 takeovers, bought up the largest number of firms, with Chinese investors in second place making 12 purchases. These companies together combine a total revenue of €5.8 billion, and their sale speeds up the loss in importance of German supplier SMEs, which also face problems due to market consolidation. As Berylls’s M&A study shows, the large companies of the global top 100 suppliers are positioning themselves as suppliers and thereby further increasing their market importance. In this way, the big players are becoming ever more powerful. The much-cited brain drain to China, on the other hand, is not taking place to the extent feared. In fact, Chinese investors are predominantly purchasing traditional technology, as is shown by the example of Bosch Starter Motor Generator Holding. The Chinese rely on sound technology bearing the Made in Germany label. They are interested in well-known, established brands with an experienced management, which are in stable business relationships. Besides the strategic investors from the automotive industry, finance investors have become firmly established as purchasers of automotive companies. They also invest in traditional values, preferably targeting German automotive outfitters and suppliers. In 2017, with 67 companies, they performed 26 percent of transactions. They usually keep their purchases for about five years before selling them on. The buyers include many Chinese conglomerates. RESOURCES FOR PURCHASES ARE GLOBALLY AVAILABLE, 2018 IS ANOTHER SELLER’S YEAR. China is not the only country with liquid assets for further acquisitions. According to the M&A expert Dr. Jan Dannenberg, “The demand for takeover candidates is actually higher than the availability, so there will still be a seller’s market in 2018. Once again, this year, we are seeing higher prices than in 2017, since the automotive sector is becoming much more attractive as a result of increasing digitalization.” That also applies especially for financially strong players outside the industry. This includes venture capital funds, which are a relatively new purchaser group in the automotive M&A market. Pressure on the suppliers to grow is also increasing, and financing costs are low. The Berylls’s experts are seeing further risk capital flowing into Germany for start-ups in the mobility field. Risk capital; which is used to finance bets on the future and the search for automotive “unicorns;” is increasingly becoming established as an integral part of M&A activities in the automotive world.